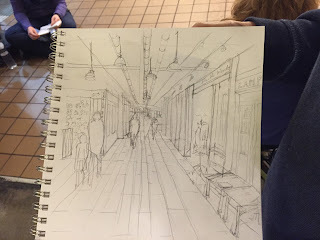 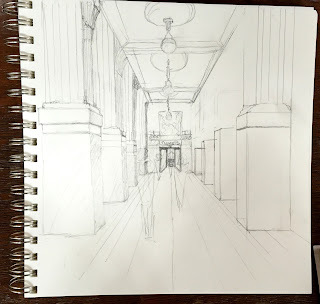 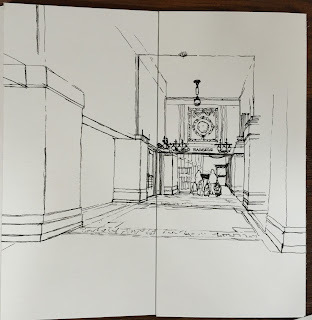 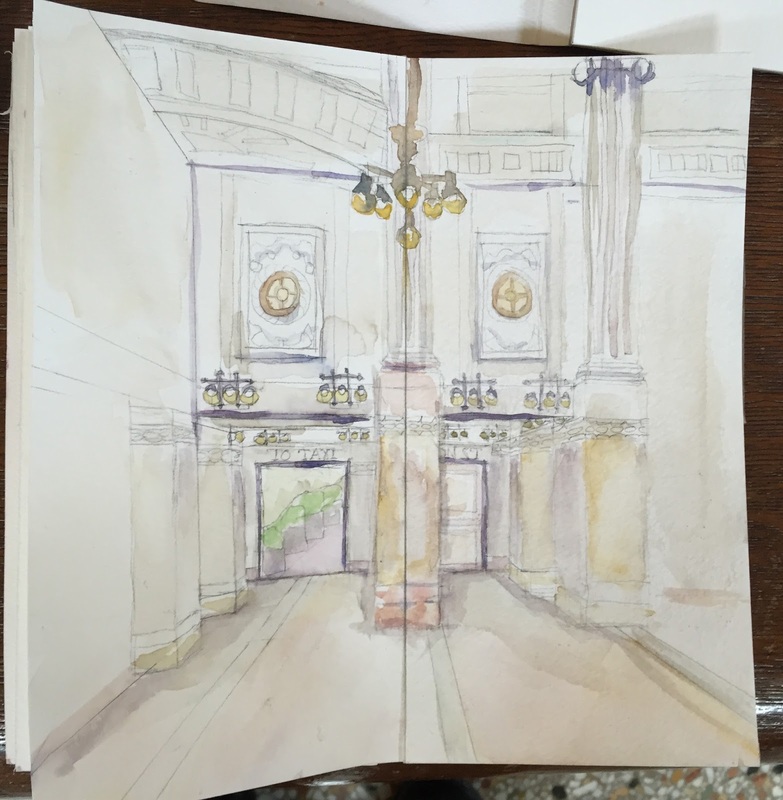 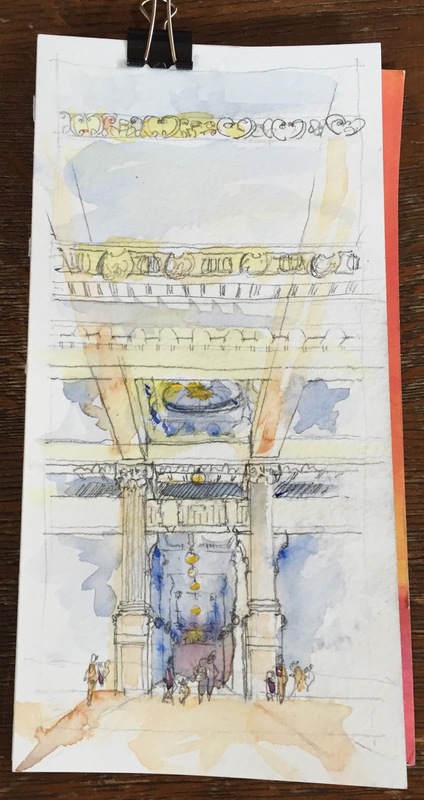 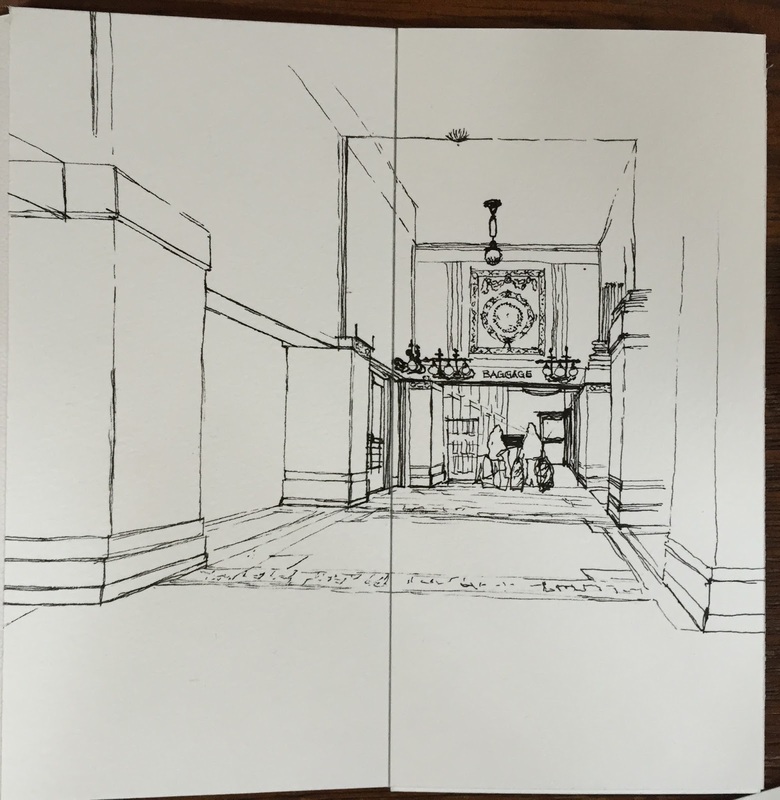 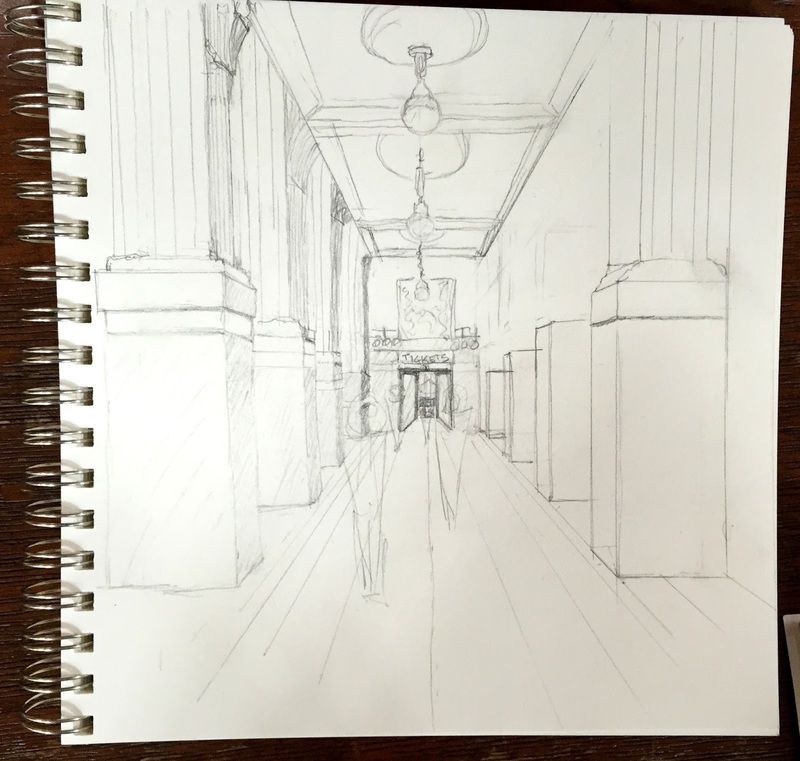 This past Memorial Day weekend was yet another workshop on perspective sketching! 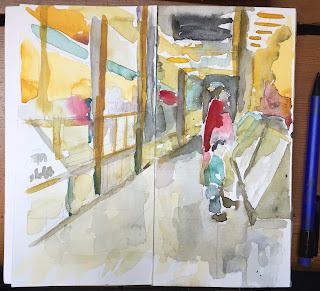 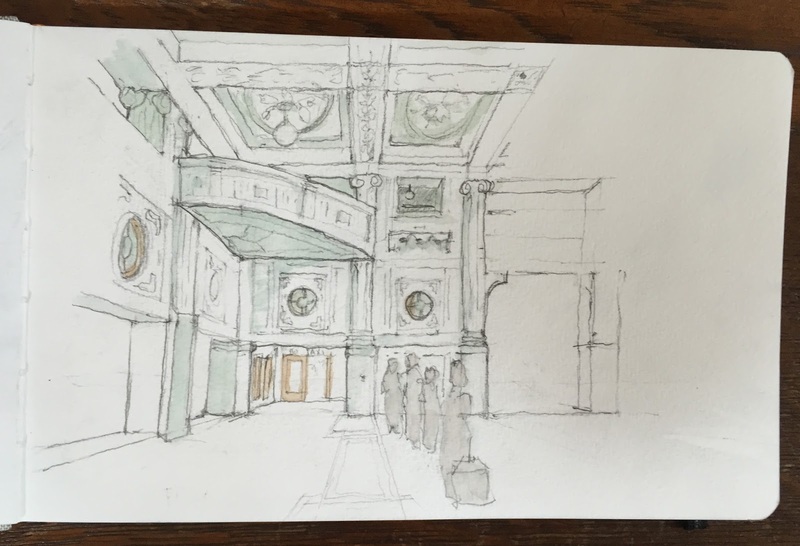 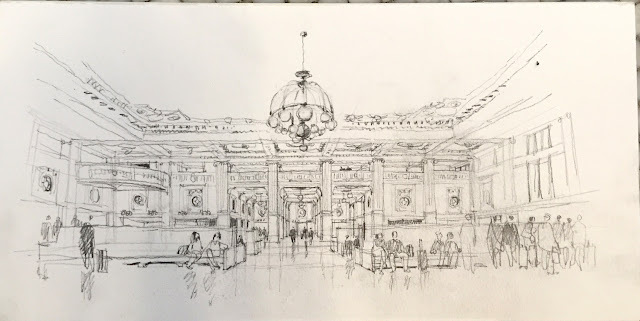 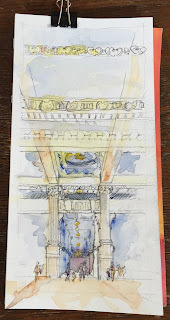 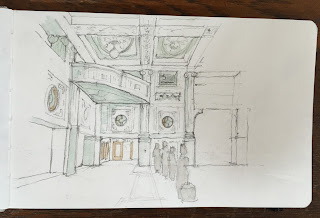 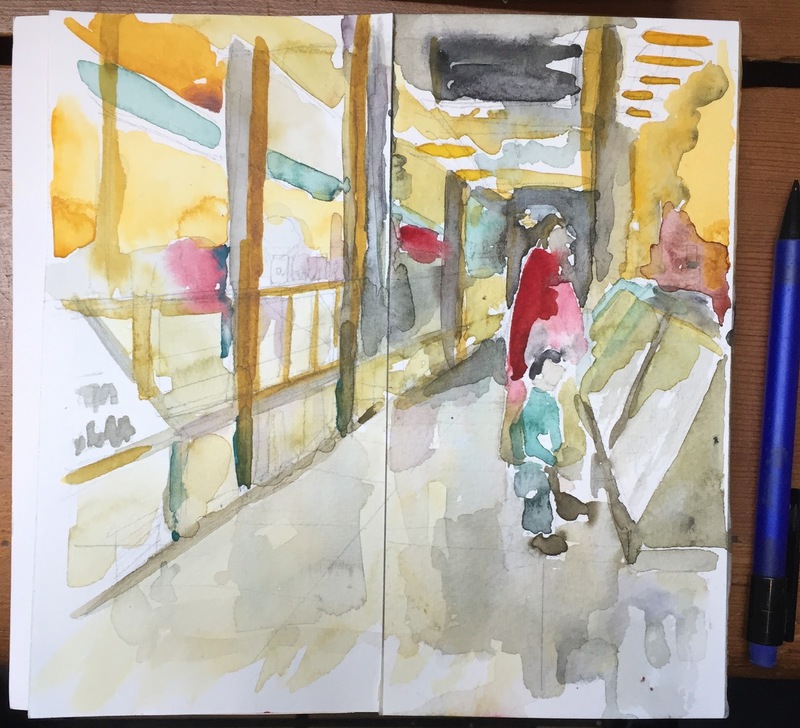 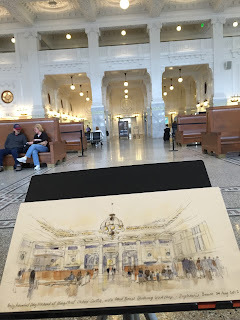 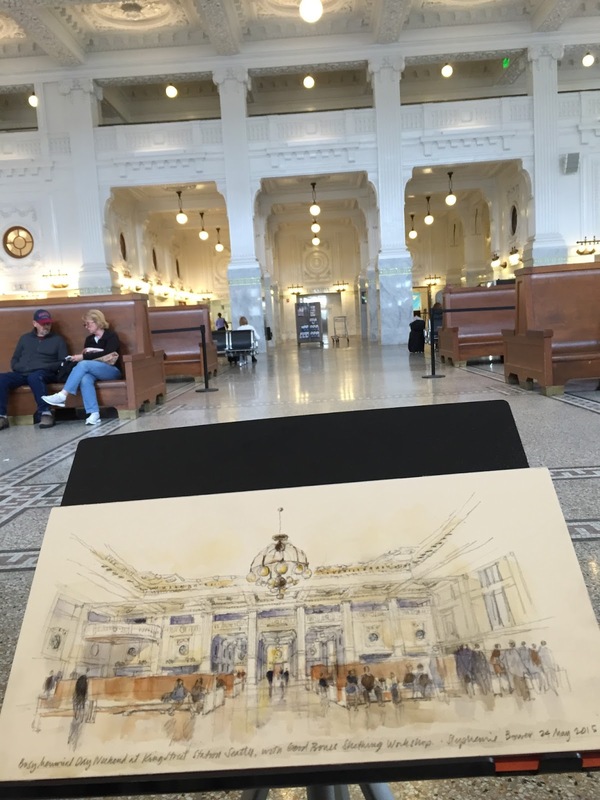 Friday and Saturday were spent in a crazy crowded Pike Place Market, and Sunday we met in the morning to sketch at King Street Station. 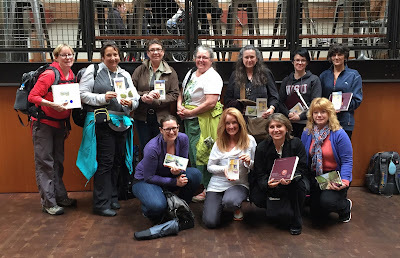 Thanks all, it was a great group, great fun too!